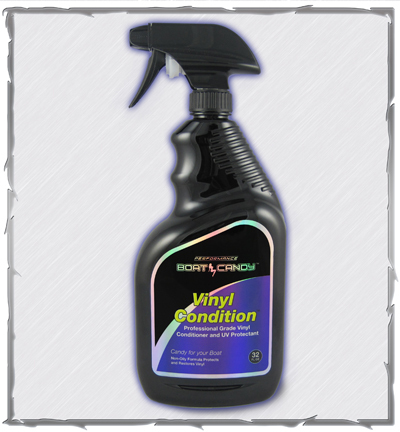 Performance Boat Candy™ Vinyl Condition™ is a non-oily formula engineered to protect and restore your vinyl and leather while repelling dirt and stains. This pH balanced conditioner offers the highest level of UV protection and leaves your vinyl looking and feeling softer. Think of it like a sunblock with SPF 50 protection. 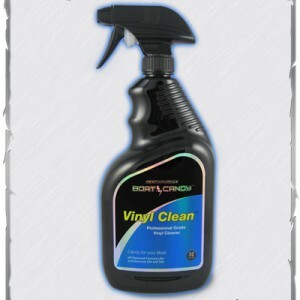 Vinyl Condition improves the look, feel, and durability of your boat and car interior to make it last longer.